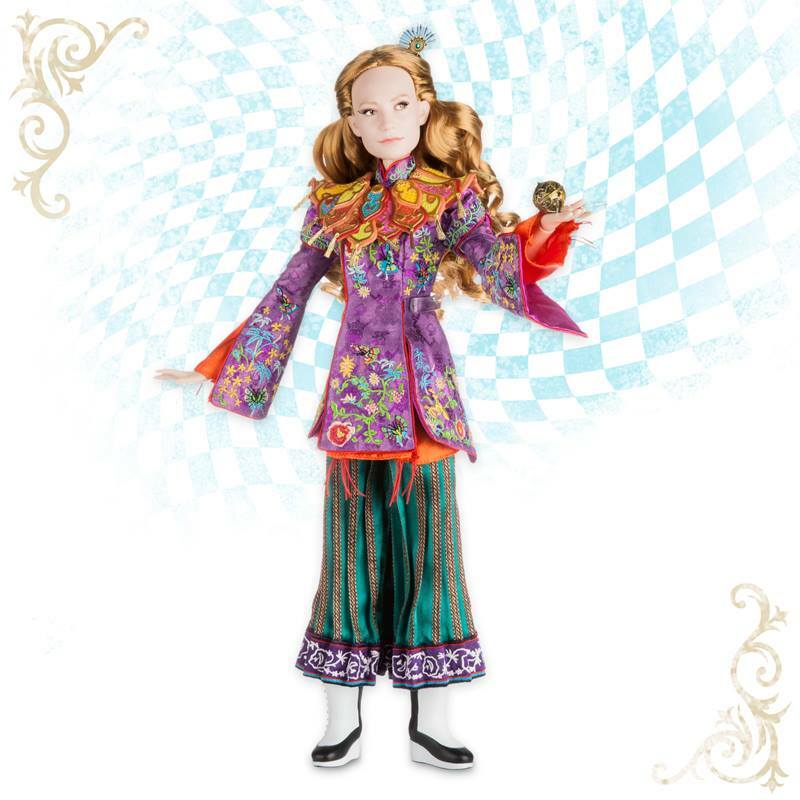 The latest 17 inch Heirloom Collection dolls were revealed and for the second time they focus on a Disney Live Action film. Alice Through the Looking Glass will be released in theaters May 27, 2016 and some of the characters have been recreated into the popular line of Disney 17 inch dolls. 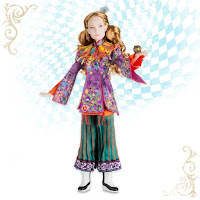 Mandarin Outfit Alice, Iracebeth the Red Queen, and Hatter Adventure Hero and Ribbon Fantasy Alice are part of the upcoming releases. UPDATE 2: The doll release has been changed again. They will be sold in stores Monday May 30th, and will be sold online Tuesday the 31st. UPDATE: The doll release has been slightly changed. They will be sold online on Friday May 27th, but will be sold in stores on Saturday the 28th. 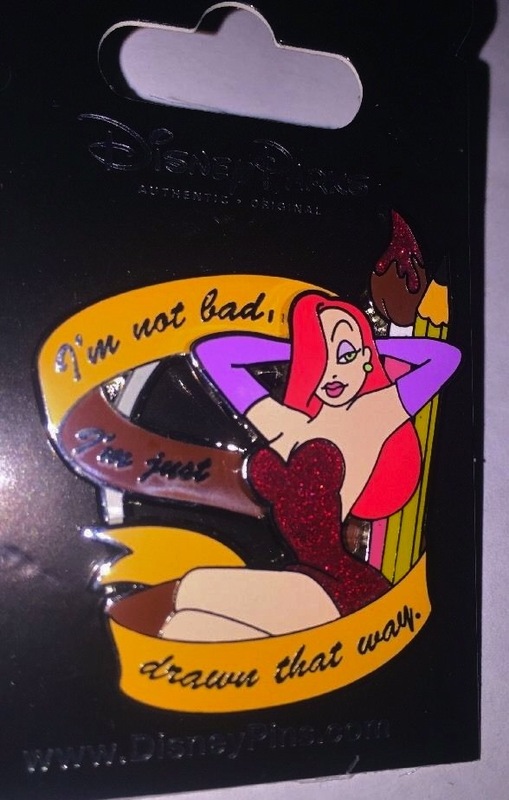 There's been a new Jessica Rabbit pin released in Disney Parks this month. There haven't been many Jessica pins lately, but this pis happens to be a great one. Jessica is sitting with her arms behind her head, with a banner around her which has her famous quote from Who Framed Roger Rabbit, "I'm Not Bad. I'm Just Drawn That Way." Jessica's dress is glitter filled, and she is sitting next to a pencil and paintbrush (which has some glitter paint on the end). Part of the banner is the bottom layer of the pin, while Jessica is a top layer. As far as I know this is an open edition pin which has turned up in Disneyland and sells for $12.99 each. Thanks to José for helping me track it down and for the photo below. In 2015 artist Jen Bednarski continued wowing everyone with her unique and exciting Vinylmation creations. Using the popular Mickey-shaped Vinylmation figure as a base, she would paint, sculpt and reshape it into something completely original. I couldn't rave enough about her work on a Jessica Rabbit Vinylmation last year, capturing the essence and feel of the character so well. Now, there are new figures being made, and the work on them is spectacular! Anchors Aweigh! 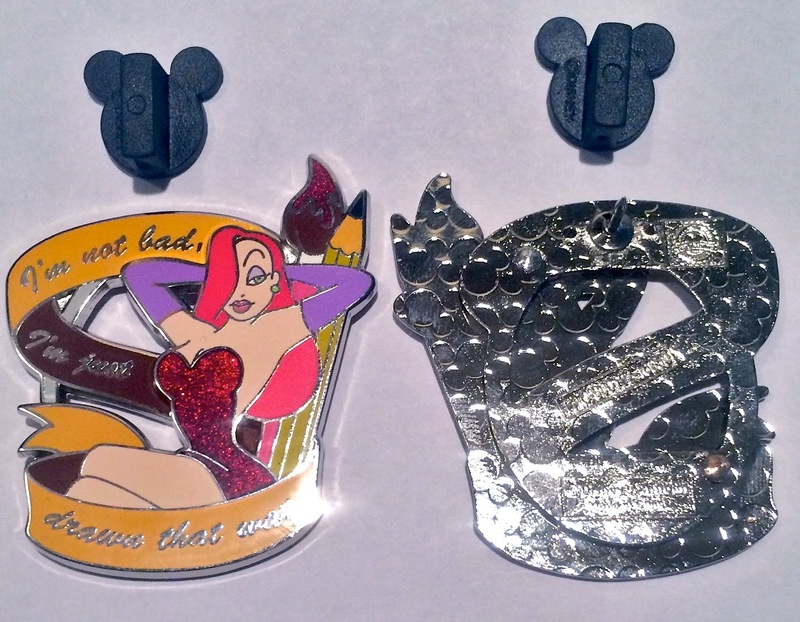 Roger and Jessica Rabbit are now available on Disney Cruises as a print by Don "Ducky" Williams. This art appeared earlier in 2015 aboard the Disney Dream ship as a painting. It features Jessica and Roger dressed in United States Navy uniforms. Jessica is in the middle of a life preserver ring with the Disney Cruise Line logo.